Over the course of a disaster scenario or other emergency incident, your school will need to communicate with a variety of different audiences: the wider school community, the outside world, and internal faculty/staff/students. These communications will ultimately shape how your school’s response to any given situation is graded. Joffe Emergency Services has assisted a diverse assortment of independent, private, and charter schools with their communication strategies, and along the way we’ve picked up some tricks, tips, and pitfalls that we’d like to share with you. Since negative advertising is so effective, today, we’re focusing on those aforementioned pitfalls. Focus on yourself instead of the students: Until you give an update on the status of your entire student body, any words you say won’t register. Understanding why people are listening to you speak (for an update on a serious situation affecting their loved ones) shows the audience that you respect their intelligence and increases your authority. This means any praise for how well your school’s response managed the situation should wait until that update is complete. Give off Subtle Hints That This Is Casual: While your words will always convey the seriousness of the situation at hand, other elements of your presentation convey messages at well. If at all possible, make sure to err on the side of looking professional in the case of a televised report or interview. Don’t think you’re getting off easy if there are no cameras! An observant reporter will take note of poor posture, bad attitude, or sloppy dress just as quickly as a lens will. Get to the point--in a serious situation, if you haven’t explained what’s going on in the first sentence of your message, re-write that sentence. There’s no need for an extended or cheery greeting. Explain the process--Parents will want to know that you are doing everything in your power to help. If the purpose of your message is regarding a specific incident, like a weapon on campus, describe some specifics of the incident (but avoid divulging incriminating information). For example, you might explain how school administration learned about and located the weapon while not sharing an identifying pronoun. Reassure about next steps--The community-at-large needs to maintain faith that you will continue to monitor the situation closely. Be sure to mention that you’re partnering with local authorities wherever possible (police, district officials, other emergency responders) and taking further action yourself if necessary. Some organizations fear communication, and frankly, a healthy respect for it is appropriate. Even an excellent response to an emergency situation on school grounds can be undercut by poor or mixed messaging. At the same time, successful communication will cover up unforeseen holes in your school’s preparation. If you can remain serious, calm, and reassuring, your words will have gravitas and you can feel comfortable in how your school will be presented to the outside world should the spotlight fall upon it. Check out some of our other articles on school safety below! 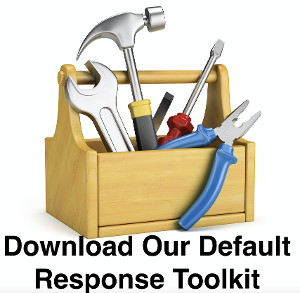 If you're looking to learn more about how to improve your school's functions during an emergency scenario TODAY, click the button below to get our free toolkit for schools. How Many EMTs For Your Event?